Our NAIT story began in September of 2018 when our son, Flynn, was born. We were ecstatic to find out that we were pregnant with our first child. We decided to keep the gender a surprise until delivery. The entire pregnancy was amazing! I never felt better, and I absolutely loved feeling my little one move around in my belly. Labor was… labor! 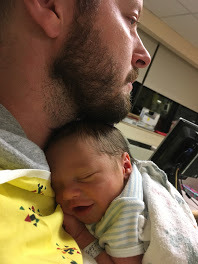 I tried to labor at home for as long as possible, and finally got to the hospital after about 12 hours. It only took a few more hours of laboring throughout the hospital hallways for us to be ready to meet our baby! 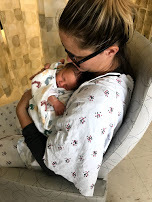 My OB-GYN provider examined me to ensure it was go time — but much to everyone’s surprise, it was go time for a C-section. 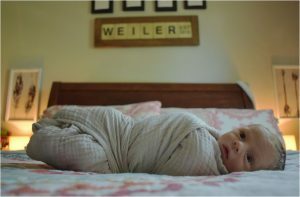 Baby ended up being Frank Breech and was wedged in the birth canal. I was taken to the OR immediately for the procedure. Although disheartening, I just wanted a healthy baby. After a few minutes, our sweet baby boy was here! His legs were up towards his ears due to the breech presentation, but otherwise he was in great health – and so was his mama! We were advised we would be staying in the hospital for 3 days and then be able to head home to embark on our new journey. Day 2 was when it all began – my mom noticed a bruise on Flynn, so the paediatrician took a closer look at it. They decided to run labs to ensure there were not any issues. Labs came back with a diagnosis of low platelets. We had NO idea what was going on, why this was happening, or the severity of the diagnosis. After a few more rounds of blood work, we were told Flynn needed to go to the NICU to be monitored. A possible diagnosis of NAIT was mentioned, but we didn’t know what that meant, and Google was providing some scary results. To say that this news rocked our world is a complete understatement. We just could not wrap our heads around why his platelets were continuing to drop, what this all meant, or how to cope with the unknown of it all. 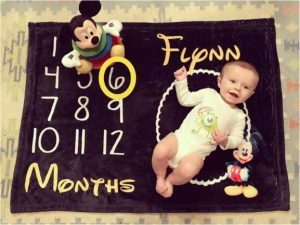 Flynn was monitored in the NICU for 2 days. He underwent countless amounts of blood draws, as well as ultrasounds to ensure there were no bleeds. 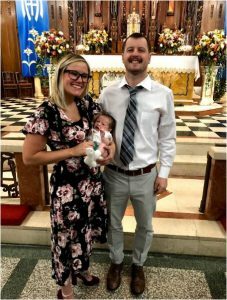 We cannot feel any luckier that Flynn needed no medical intervention other than being monitored, and he had no bleeds or other issues as a result of NAIT. When we were finally released from the hospital, we had follow-ups with specialists who confirmed the diagnosis of NAIT and advised additional blood work for my husband and I. That is where our story is for the moment… this is all still new to us, but we are learning the options for a treated pregnancy should we decide to do so. We are beyond lucky and blessed to have our sweet baby Flynn here, happy, healthy, growing, and thriving and we are thankful for the growing support of those affected by NAIT.